is honored on Panel 37E, Line 77 of the Vietnam Veterans Memorial. Thank you for stepping up and answering your country's call. Thank you for your service and your sacrifice. Rest easy knowing you will never be forgotten. 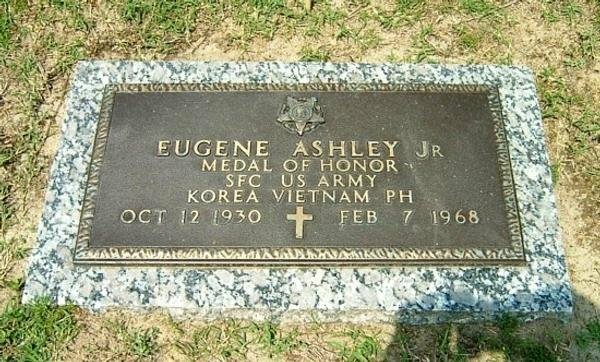 The President of the United States of America, in the name of Congress, takes pride in presenting the Medal of Honor (Posthumously) to Sergeant First Class Eugene Ashley, Jr. (ASN: 12392673), United States Army, for conspicuous gallantry and intrepidity at the risk of his life above and beyond the call of duty while serving with Detachment A-101, Company C, 5th Special Forces Group (Airborne), 1st Special Forces, in action against enemy aggressor forces at Lang Vei, Republic of Vietnam, on 6 and 7 February 1968. Sergeant First Class Ashley was the senior special forces Advisor of a hastily organized assault force whose mission was to rescue entrapped U.S. special forces advisors at Camp Lang Vei. 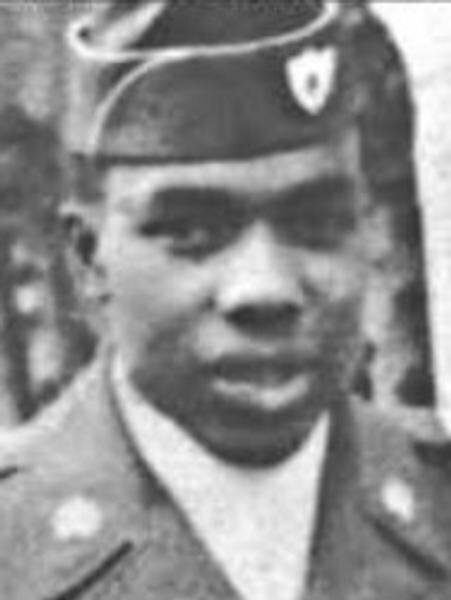 During the initial attack on the special forces camp by North Vietnamese army forces, Sergeant First Class Ashley supported the camp with high explosive and illumination mortar rounds. When communications were lost with the main camp, he assumed the additional responsibility of directing air strikes and artillery support. Sergeant First Class Ashley organized and equipped a small assault force composed of local friendly personnel. 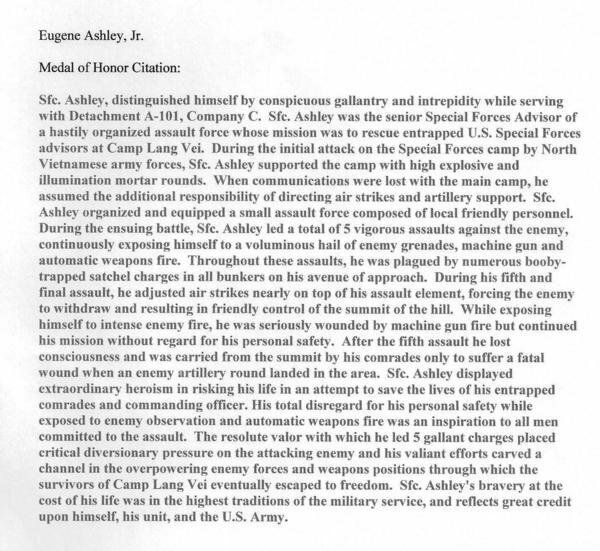 During the ensuing battle, Sergeant First Class Ashley led a total of five vigorous assaults against the enemy, continuously exposing himself to a voluminous hail of enemy grenades, machinegun and automatic weapons fire. Throughout these assaults, he was plagued by numerous booby-trapped satchel charges in all bunkers on his avenue of approach. During his fifth and final assault, he adjusted air strikes nearly on top of his assault element, forcing the enemy to withdraw and resulting in friendly control of the summit of the hill. While exposing himself to intense enemy fire, he was seriously wounded by machinegun fire but continued his mission without regard for his personal safety. After the fifth assault he lost consciousness and was carried from the summit by his comrades only to suffer a fatal wound when an enemy artillery round landed in the area. Sergeant First Class Ashley displayed extraordinary heroism in risking his life in an attempt to save the lives of his entrapped comrades and commanding officer. 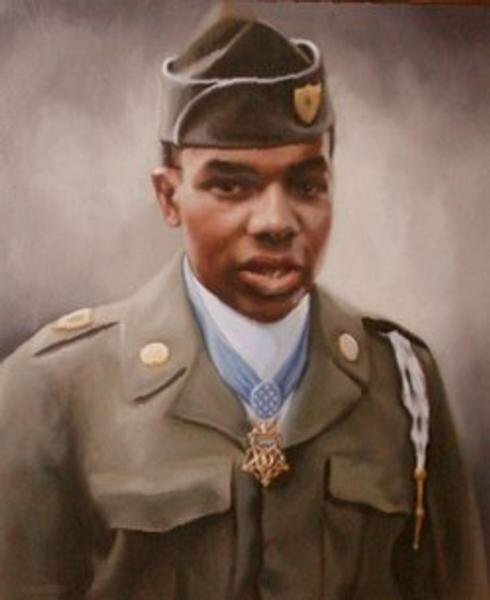 His total disregard for his personal safety while exposed to enemy observation and automatic weapons fire was an inspiration to all men committed to the assault. 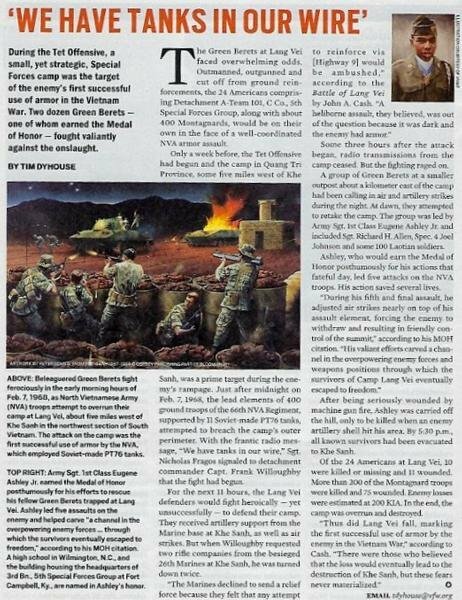 The resolute valor with which he led five gallant charges placed critical diversionary pressure on the attacking enemy and his valiant efforts carved a channel in the overpowering enemy forces and weapons positions through which the survivors of Camp Lang Vei eventually escaped to freedom. 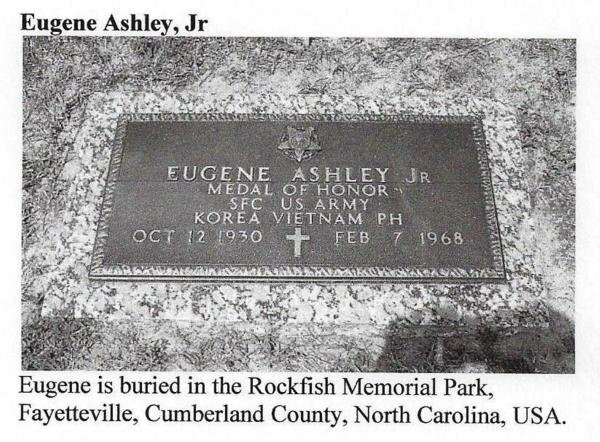 Sergeant First Class Ashley's bravery at the cost of his life was in the highest traditions of the military service, and reflects great credit upon himself, his unit, and the United States Army.